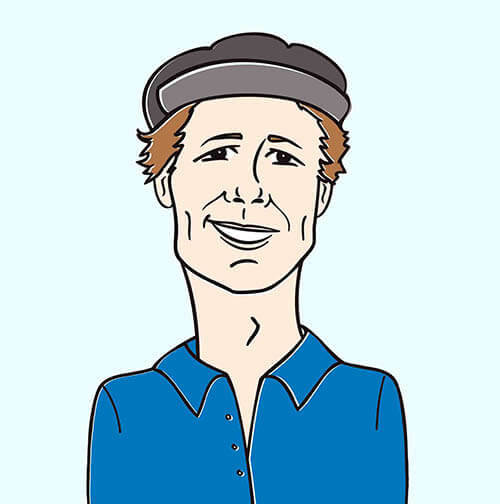 Greetings cherished programmers, it’s Andy Gesner and the staff from HIP Video Promo, back to share the newest vision from an incomparable – and unclassifiable – artist. For Moby, music has always been a kind of exploration: an attempt to capture the numinous and ineffable through recorded sound. The main character in his latest video is on a similar journey, and, like the artist, he’s using machines to send a resolutely human message to his target audience. Although it’s not immediately clear what he’s stalking, he’s chasing something, too – and his quest takes him from a bedroom cluttered with photographs and arcane devices to a deserted cornfield in the middle of the night. What he discovers there is beyond imagining, but this young searcher is more than willing to step into the mystery. He’s a kid after Moby’s own heart. For close to twenty years, the Manhattan-based musician has been following his instincts into territories unmapped. That he’s sold tens of millions of records is almost immaterial – as every listener knows, he’s always been a bold experimentalist first and a commercial artist only after that. Wait For Me, his recently-released album, is another set of dazzling sonic excursions, incorporating elements of dance music, R&B, pre-war blues, primeval American folk, heavy rock, and Eighties-style synthesizer pop. As has been true for every Moby album since the landmark Play, Wait For Me has scaled the charts on both sides of the Atlantic, and fired imaginations wherever it’s been spun. Moby promised fans that Wait For Me would be a more intimate and personal set, and he’s delivered: the tracks on the album are among the most honest and immediate in the prolific artist’s heralded discography. 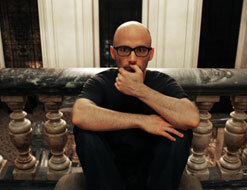 The concert favorite “Mistake” is a bracing example of Moby’s recent approach. The song starts with dreamy synthesizers and a whispered vocal, and builds to a thunderous climax. Better yet, Moby has taken the unusual step of handling the lead vocals on “Mistake” himself. No guest vocals here, just the auteur himself on the mike, delivering a performance heavy with passion and regret. In recent months, Moby and his rock group have toured the United States and Europe in support of Wait For Me; the fierce “Mistake” has, in many ways, served as the template for the band’s performances. The evocative “Mistake” has inspired several brilliant fan-made videos, including one, much-loved by the artist, that traces the emotional life of a lemon. Brilliant as they are, they’ve got nothing on Yoann Lemoine’s gorgeous and cinematic official clip. Lemoine follows a handsome young man as he attempts to decipher the otherworldly mystery that surrounds him. On his nighttime photography runs, he’s shadowed by paranormal phenomena and strange hauntings; the images he captures on film seem downright extraterrestrial. He’s armed with his camera, some homemade detection equipment, and his unshakable belief that he’s getting a message from beyond. Led to the cornfield (the traditional interface between aliens and humans), he looks to the sky with arms outstretched – and there he’s bathed in ghostly light from above. Mute does it again, always bringing the videos you and your viewers want to see. If you need more info, call Andy Gesner at 732-613-1779 or e-mail us at HIPVideo@aol.com. You can also visit www.Mute.com or www.Moby.com to find out more about Moby.